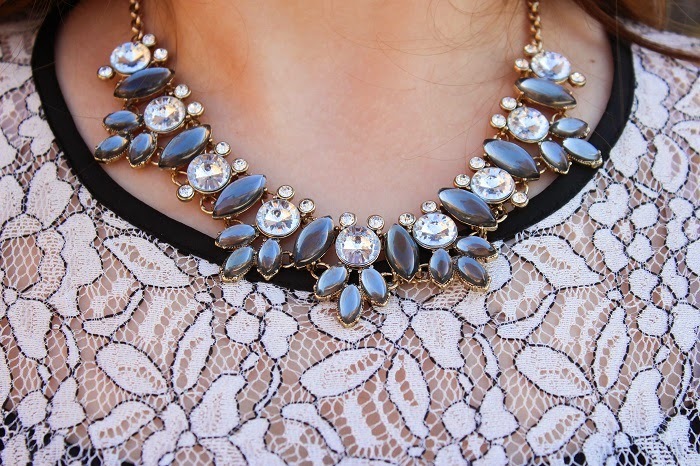 Anyways, here's what I wore last Friday when I was going out to dinner with some friends. If you live in Rochester and looking for a good restaurant, make sure to check out Trata at the Culver Road Armory! Defiantly recommend it. I didn't want to overdress for dinner yet I still wanted to put some effort into my outfit since it's Friday night and well, I'm a fashionista haha. 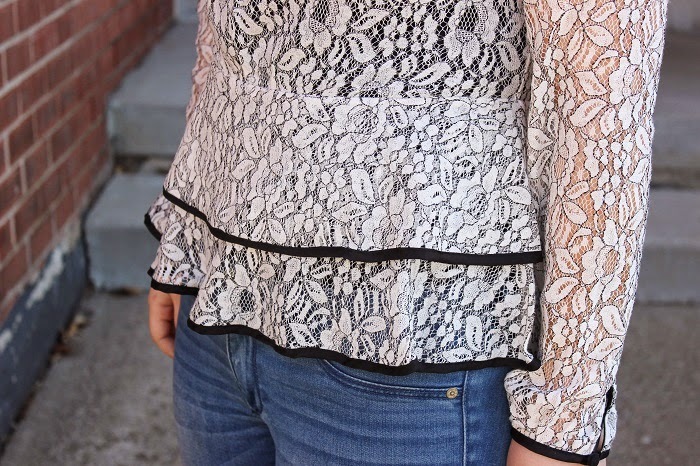 As always my style is girly so of course I would gravitate towards this lace, ruffle peplum shirt that I found at TJ Maxx. Sadly, I can't link the exact one but I'm defiantly not going to stop looking! 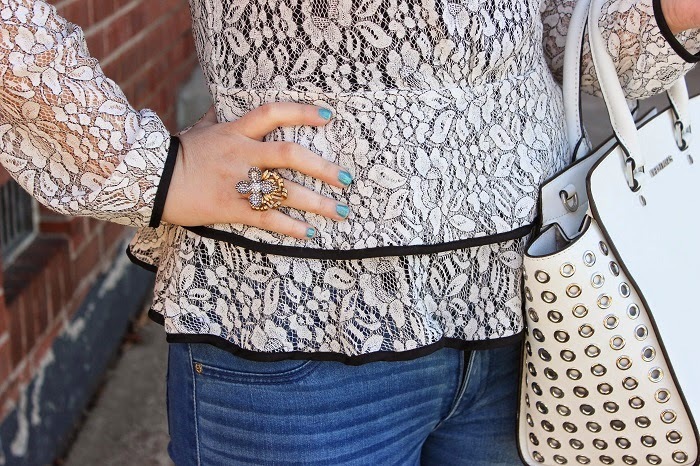 I paired it with some jeans and my new Tahari heels that's perfect for dressing up and down. I already made a post about my favorite ankle-strap heels but I swear these ones are my new favorite because they're so comfy! First time I've ever worn a heel that's comfortable to walk in! This never happens haha. Go get it now! Hope you enjoyed this post and have a lovely weekend!